IS IT BAD LUCK THAT I JUST RAN OVER A CAT ? WAS IT BLACK ? 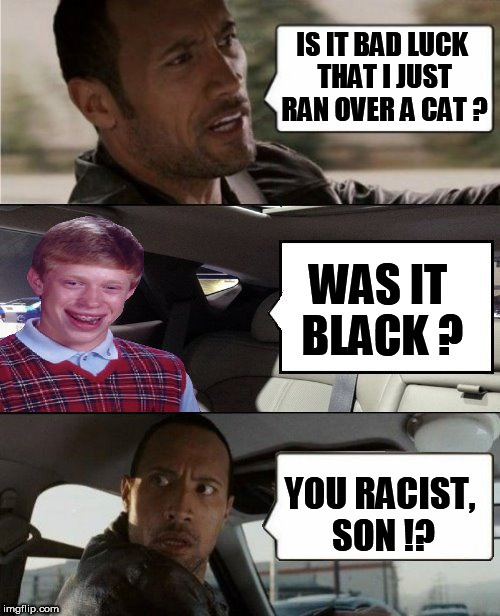 YOU RACIST, SON ! ?